The U.S. POLO ASSN. 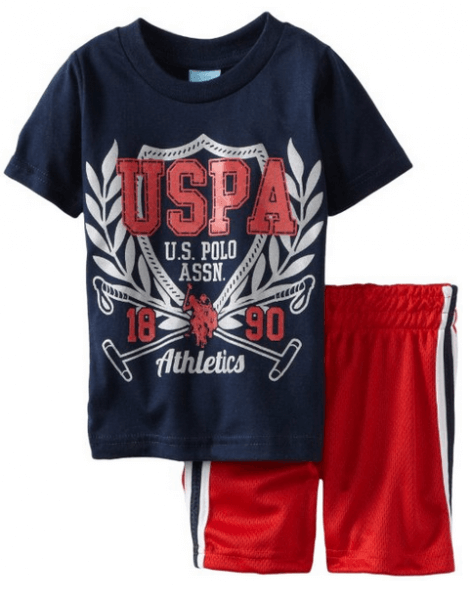 Baby Boys Infant Short Sleeve T-Shirt With Double Crew Neckline And Mesh Short is on sale for $7.28 at Amazon right now. That's 76% off the list price of $30.00!